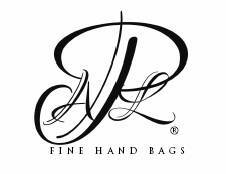 Each bag is created by hand. It is one of a kind and no two items are exactly alike. They may be similar, but they are not identical. Sometimes products have markings, but they should in no way be considered imperfections. Tanned hides are not waterproof. They should not be over exposed to water or heat. Their care should be similar to that of any piece of art which you wish to maintain and have for a long time. The cloth cover provided with your handbag is easy to store when you are not using it. You can toss it into your suitcase when traveling and use it as needed. Avoid leaving your handbag in extreme heat, hides may discolor or fade in time. Household cleaning products may accomplish what they were intended for, but can damage your bag or affect it's luster. Avoid hand lotions. Oils in these products can change or alter the color. If wiping a spill on your handbag, use a soft dry cloth. Paper towels (which are made of wood products) can be abrasive and can scratch your finish. Always store your handbag in the cover provided. A cool dry location is advised.